The front page of Wednesday’s edition of Nanjing Daily [南京日报] announces that the city will move into a new stage of the national “poverty alleviation” [扶贫] programs being pushed by Beijing. In Nanjing’s case, that means building “a long-term mechanism” [长效机制] by which low-income residents left behind by economic development will be provided ongoing assistance. The approach in Nanjing will be nuanced, the article notes, with some areas receiving more infrastructure, construction, and public utility projects, while others will get direct subsidies, disaster relief aid, and training for better employment and entrepreneurial opportunities—an attempt, in other words, to meet local challenges in Nanjing locally. Unmentioned in the announcement is perhaps an even greater challenge for Nanjing: keeping local government officials from stealing the money being allocated for this program. That’s at least the clear impression any reader of the Communist party’s flagship newspaper People’s Daily [人民日报] gets from news coverage of this national initiative as it’s been applied elsewhere in China over the past few years. It’s not been a happy story of socialism in action thus far. Back in November, China’s Central Discipline and Inspection Commission [中央纪委] listed 9 typical cases where poverty alleviation funds were diverted for personal use, often blatantly—transgressions so egregious that the national evening news mentioned them. For example, in a village in Hebei province, the party branch’s director siphoned off monies allocated to assist the indigent and disabled, using the name of his wife, daughter, and mother as deserving applicants, all of whom were in fine fettle. Officials in Ruicheng county in Shanxi province used funds allocated for benefits for themselves over a 2 year period, while awarding contracts for building renovation work to friends and receiving kickbacks in the process. A different county in a different province—Linquan county in Anhui--saw similar practices there, though in that instance it was continuing to claim rural assistance payments for already unqualified relatives even after they had died. More of the same sort of malfeasance was found in Shandong province where, for a period of 5 years, officials in the city of Qingzhou skimmed off subsistence payments to pensioners seeking poverty relief. 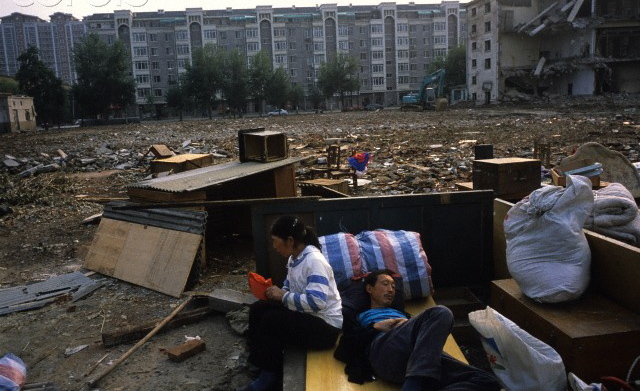 And in an especially obnoxious instance, officials in a township in Hunan province not only applied for and were awarded funds for the resettlement of migrants that evidently didn’t exist in the numbers claimed and for disaster relief for a disaster that may not have happened, they also stole the money that Beijing provided for these fictions for themselves. From forestry projects in Qinghai that saw walnut seedlings perish because funds were pilfered; to villages in Yunnan where officials spent monies allocated to rural cooperatives for medical care on air tickets and travel accommodations for themselves and their relatives; and in the province of ever-growing economic powerhouse Guangdong, where from January to October of this year alone, 344 cases of corruption were unearthed and People’s Daily stated that “those who are already rescued aren’t in need of further rescue” [导致该救助的没救助,不该救助的被救助]---few local leaders granted poverty alleviation support for their residents in recent years were ever in danger of impoverishing themselves or their relatives. Not for the first time in China, central government relief from local hardships provided excellent opportunities to resident cadres for personal enrichment. As ever, Nanjing is endeavoring to be different. According to the article, the city has spent 2 years assembling data on residents to gain a clearer idea of the nature of the problem Nanjing faces. Instead of simply submitting requests to get funds, cadres and bureaucrats here are attempting to know what they need. 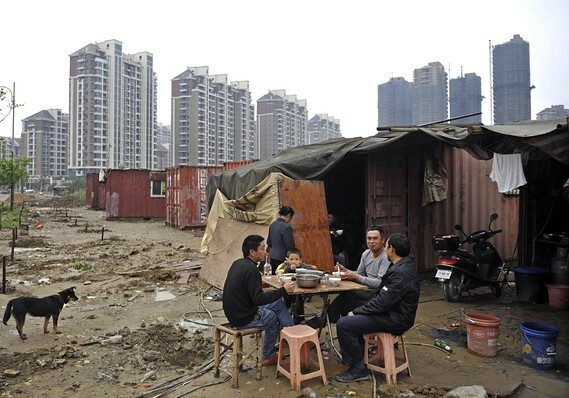 With more precise statistics in hand, Nanjing officials are also “pulling away from the idea of ‘relief’ as the approach to solve the problem of poverty [and instead] pay more attention to using development as a means of not ending poverty but reducing the existing income gap”. Instead of looking to construct new institutions or reformat existing administrative organizations to incorporate these new tasks—the typical approach in China where nationally-funded initiatives are concerned—Nanjing “will pay more attention to long-term policy innovation”. That strategy is different from the one-off attempt to payoff deserving residents--which often ends up just robbing the poor to enrich the rich. In one sense, this is Nanjing playing the part of innovator, leading a different sort of reform instead of slipstreaming behind change that’s been authorized by Beijing. That's been the nature of post-Mao reform in China: localities and provinces desperate for solutions and, when to comes to policy initiatives, asking for forgiveness from the central government for acting unilaterally, instead of permission ahead of time. But it’s also officials here trying to learn from the errors of others, instead of experimenting simply because something might work and everyone's desperate. Nanjing cadres and bureaucrats aren't fools: They need only look around to see what went wrong elsewhere to find that corruption got in the way of performance, and they’re clearly trying not to make the same stupid mistakes. Their approach may not be exciting or necessarily path-breaking, but at least it’s safe because its potentially clean and possibly quite promising because the policy is walking another path. Frankly, in an era of crackdowns and centralisation where the only reform is of the conservative stripe, that's an interesting move in itself.